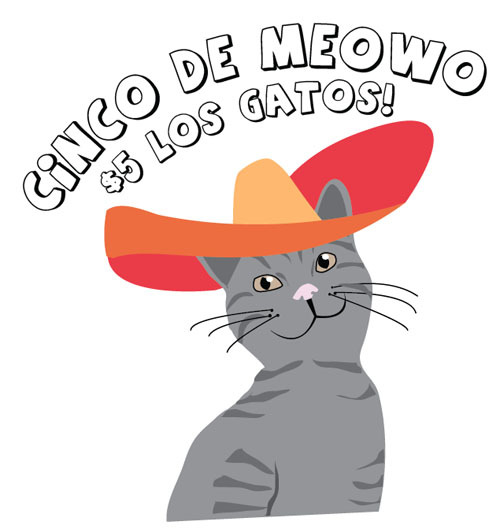 To celebrate Cinco de Mayo tomorrow and to help alleviate some crowding, Rochester Animal Services is offering select cats for only $5 on Saturday, May 5! It's Cinco de Meowo! Stop by 184 Verona Street in downtown Rochester and check out the available los gatos!